Product prices and availability are accurate as of 2019-04-19 10:44:23 UTC and are subject to change. Any price and availability information displayed on http://www.amazon.co.uk/ at the time of purchase will apply to the purchase of this product. Hi Mr Dj are proud to stock the fantastic Magma CTRL Case for Vestax VCI-380/VCI-300 DJ-Controller. With so many DJ products on offer today, it is wise to have a brand you can have faith in. 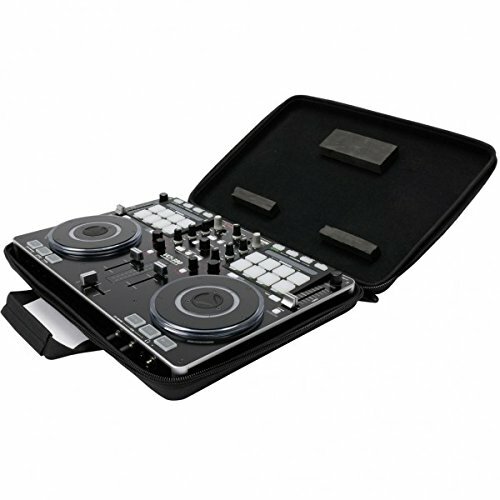 The Magma CTRL Case for Vestax VCI-380/VCI-300 DJ-Controller is certainly that and will be a perfect purchase. For this reduced price, the Magma CTRL Case for Vestax VCI-380/VCI-300 DJ-Controller comes widely respected and is always a regular choice amongst lots of of our customers. Geckwin have added some nice touches and this equals good reasonable discounted prices. The new CTRL-Case L is a super lightweight and compact carrying solution to protect your Vestax VCI-380 / VCI-300 DJ-Controller and smaller models such as Denon MC-3000 / MC-2000, American Audio VMS2, Reloop Beatmix etc. Crafted from durable and lightweight Durashock molded EVA foam and a water Rejecting polyester exterior, it is furthermore equipped with an adjustable (velcro) foam-kit that provides Extra protection for all control knobs, faders and jog wheels. Features: Fits Vestax VCI-380 / VCI-300, Denon MC-3000 / MC-2000, American Audio VMS2, Reloop Beatmix, Stanton DCJ.4, Pioneer WeGo, Novation Twitch etc. Lightweight Durashock molded EVA foam and polyester exterior shell Incl. adjustable foam kit to fit smaller models and to protect control knobs, faders and jog wheels Sturdy zipper and comfortable carrying handles Fits inside the MAGMA Rolltop Backpack, DIGI Control-Backpack xL and DIGI Control-Trolley XL external dimensions (H/W/D): 45 x 32 x 8 cm / internal: 42 x 31 x 7 cm Controller not included!